Thank you! Lifesaving! Worked a treat! Thank you!!! This was exactly what I was looking for! And it was easy even for someone who is not particularly tech-y. Cannot tell you how much I appreciate this or how much time, effort and tears you have saved me! THANKS!!!!! Awesome! Quick and simple! Wish I had found this post sooner! From beginning to ending these instructions worked!! Thank you!! 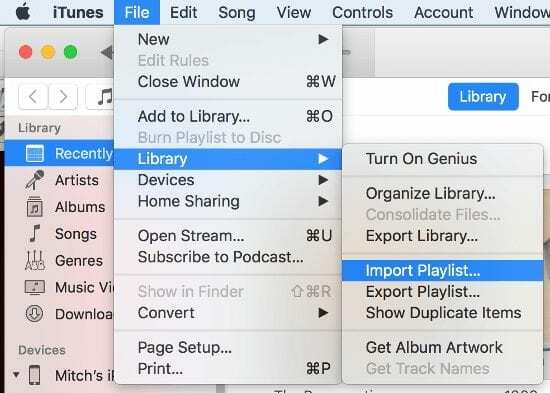 My iPhone playlist does not show up when in iTunes , so I cannot do any of these steps. Playlists on my phone don’t even show up in iTunes on my computer so there is nothing to select and export. Anyone else have the same problem? Thank you so much! Now I can rescue my SilentFilmDj-Sets from my iPhone. This helped me a lot with my business of setting sound to Silent Movies, after loosing my Mac at my last Flight (ist was stolen). To copy the mp3s on my Mac I used iFunbox (free for Mac and PC). T A N K S for S H A R I N G ! ! ! I really get so frustrated with how Apple sets up their devices and media management tools. I set up a lot of playlists on my macbook and synched my ipod and iPhone to that library. So everything is cool until I have to reformat and reload my OS on my Macbook. I have absolutely NO way to re-initialize my music library with playlists off my mobile devices now. The synch only works in one direction. Sure, I can spend days exporting/importing playlists one at a time, but jeeze. I thought these Apple tech wizards were suppose to be Geniuses. They build their products and software to work one way and one way only. This is just a single example of Apple-think. 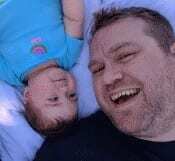 I have similar issues managing pictures and videos. It’s maddening. i am trying to rebuild my iTunes library. i have to reimport my entire library into a fresh library, thereby losing all of the playlists, metadata, etc. 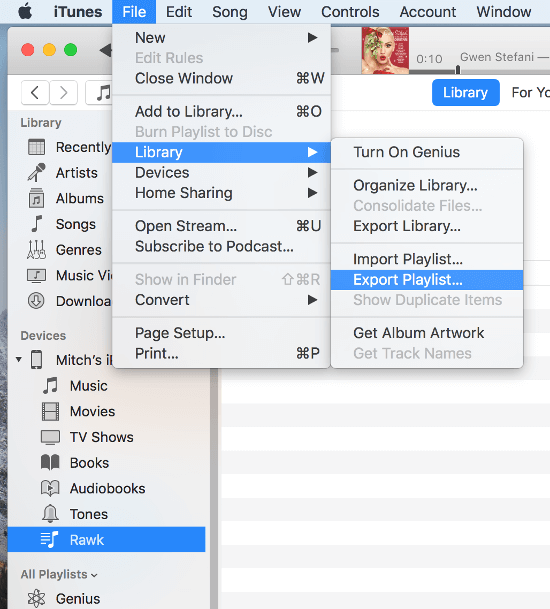 will this work if the device with the playlists is not SYNCED to the library in question? meaning, can i just plug my iPhone into what is actually my ‘new’ library (even though it’s actually my ‘old’ library) and copy the playlists over? Only one by one unfortunately. Wonderful! Thanks so much for this! Question: is there a way to export multiple playlists all at once? Or must it be exported one-by-one? Outstanding!!! Can’t think you enough for salvaging my sanity. when i get to importing it, it says the songs could not be found. any idea?